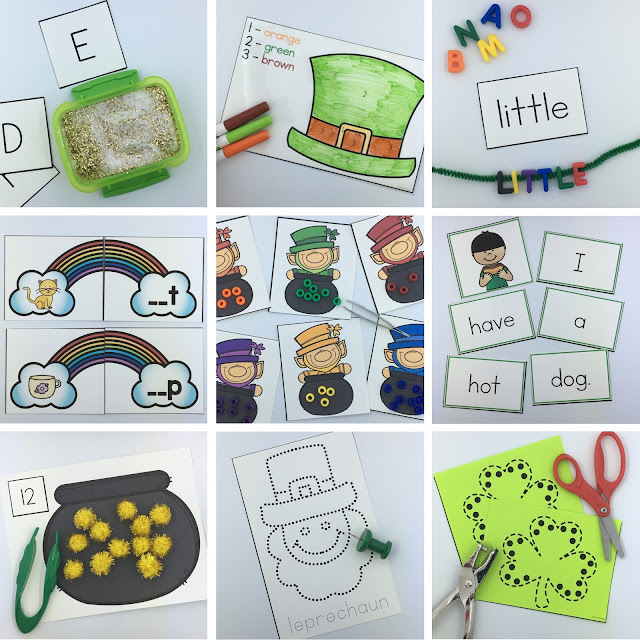 Today, I want to share a few of the St. Patrick's Day activities that I have available in my store. I love that the activities I'm sharing today can be used in a school classroom setting or at home. 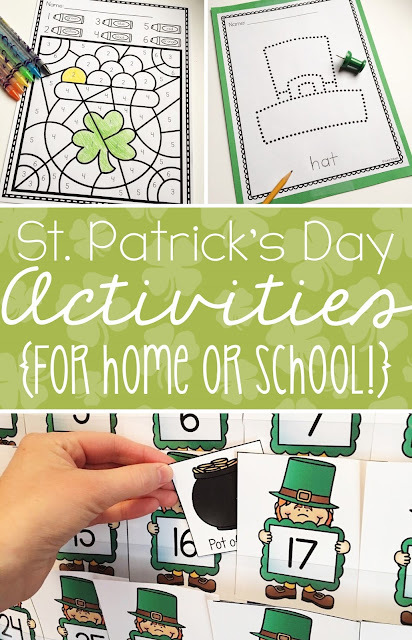 Since I'm out of the classroom right now to spend time with my own kids, I am using these activities with my six year-old and three year-old this year! 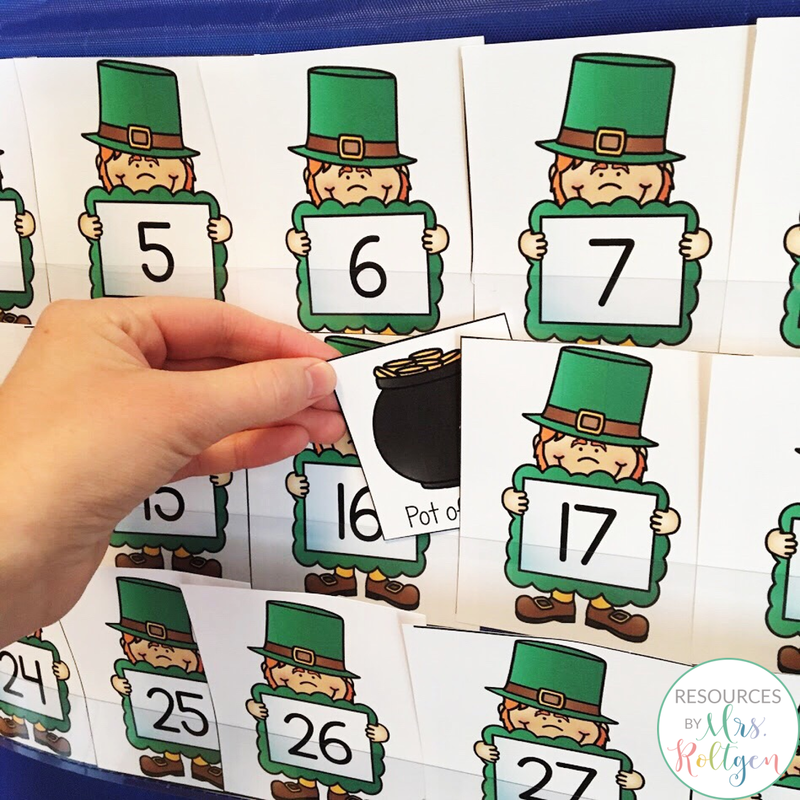 If your students (or kids) like using jumbo push pins, they will love these St. Patrick's Day Pinning Pages! 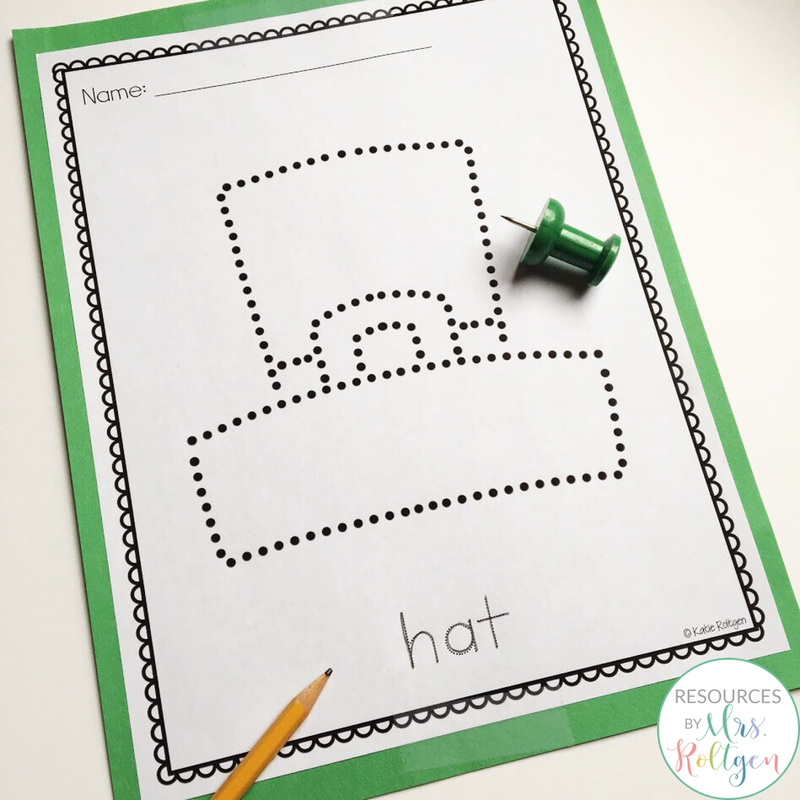 There are eight pages and can be used with jumbo push pins or as tracing pages. The word at the bottom of the page is traceable. You can print the pages and use them for pinning as-is, or you can tape each page onto a piece of construction paper and poke through both pages. Then, when you remove the pinning page, the construction paper will look neat! 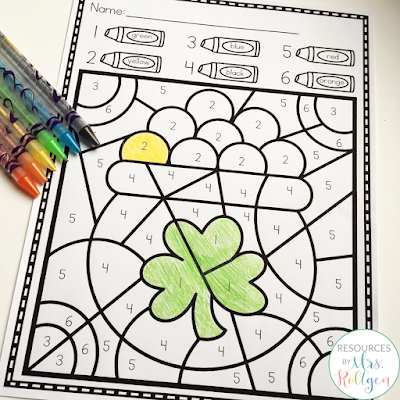 The last activity is one of my favorite freebies in my store! My "Where's the Gold?" 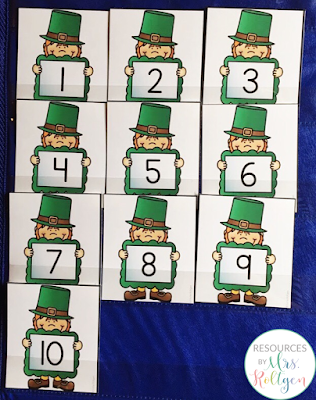 number recognition game has been a favorite with students and my own kids This is a pocket chart game that comes with a partner game that you can use for reinforcement. It's easy to customize - you can use only numbers 1-10, or focus on teen numbers, etc. I've played this game with my older daughter for a few years now. For my three year-old, I'm only using numbers to 10 and I'm using a tabletop pocket chart. 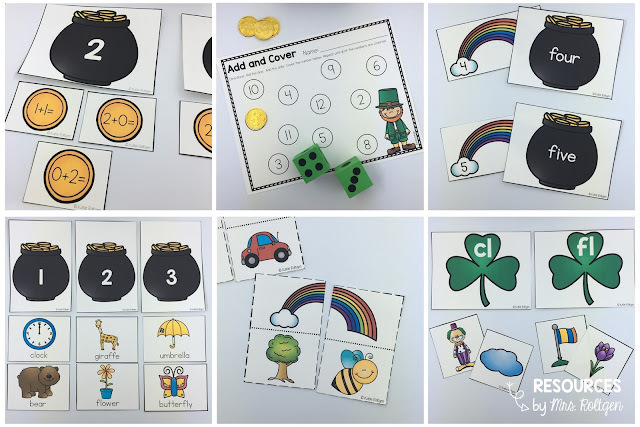 If you're in the classroom, you can easily modify this game for small group use. 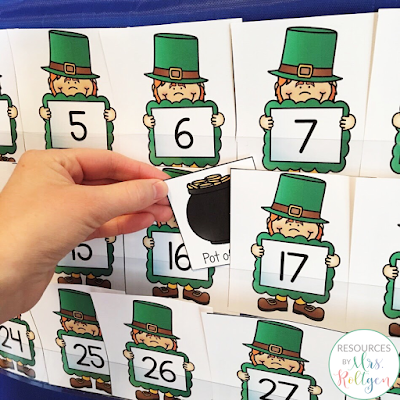 You can use a tabletop pocket chart and pick a smaller set of numbers to focus on. 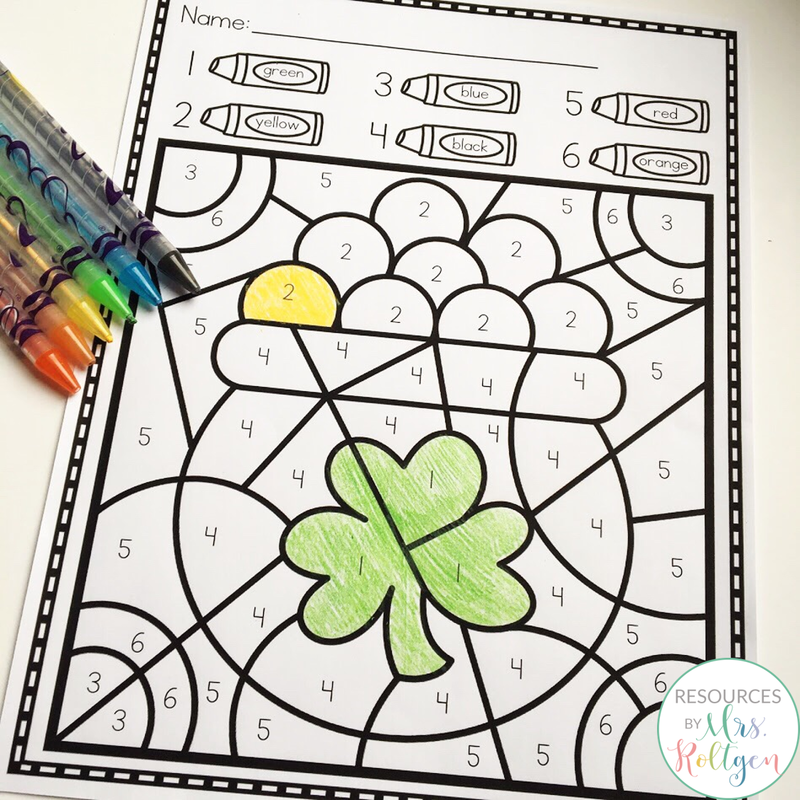 If you're looking for looking for some thematic center activities, I have a St. Patrick's Day Centers pack! It includes a total of 16 centers that touch on a variety of math and literacy skills. 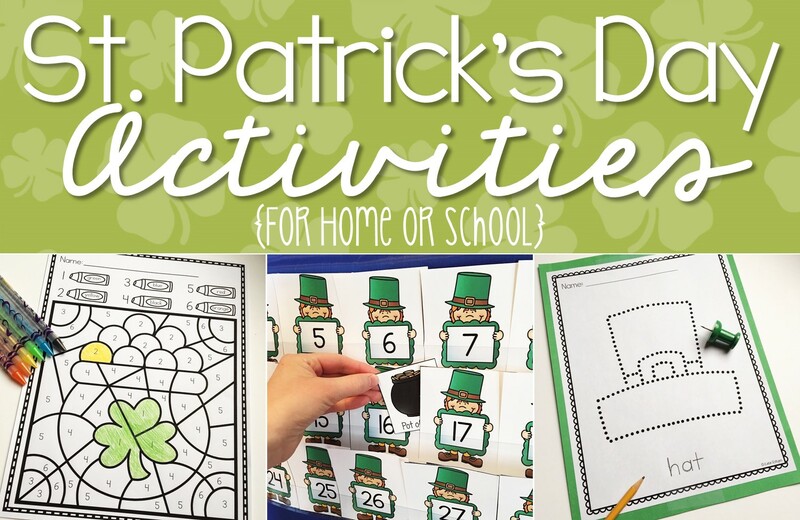 My March Morning Work Tubs pack is full of fun activities, many of which are St. Patrick's Day-themed. Finally, I have a St. Patrick's Day fine motor pack with ten great fine motor activities! Here are a couple activities from that pack. 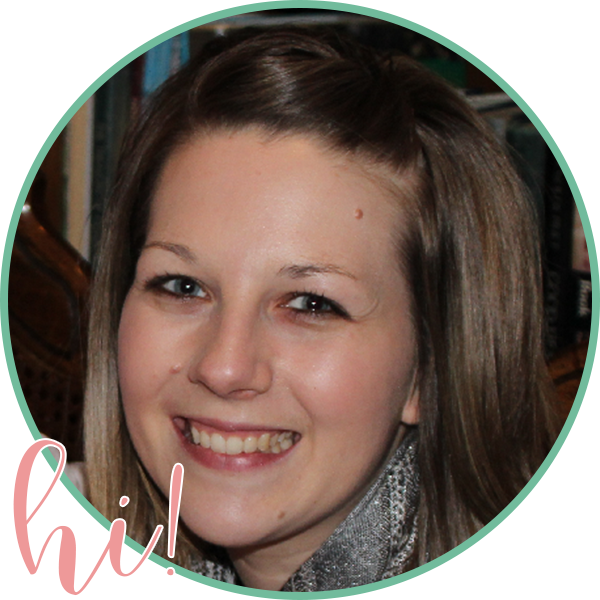 Thanks for letting me share these activities with you!